*Graduate of College of Medicine / Al-Nahrain University 1998 *F.I.B.M.S. (Fellow of Iraqi Board for Medical Specializations in Neurosurgery) 2005. *24.09.1998, resident house officer in Al – Kadhimiya Teaching Hospital – Baghdad. *2/11/2000: Admitted and accepted in The Iraqi Board of Medical Specialties for training for the degree of Fellowship (Board) in Neurosurgery. * 7/12/2005: Awarded the degree of "Fellow" of the Iraqi Board of Medical Specialties in Neurosurgery, from the Iraqi Board of Medical Specialties. *7/12/2005: Awarded the title of "Specialist" in Neurosurgery according to the Issue numbered 5961 from the Iraqi Board of Medical Specialties, and was appointed as a specialist surgeon in the Department of Neurosurgery at Al- Kadhimiya Teaching Hospital, and is continuous in service in the hospital till now. *30/7/2006: Awarded the title of "Lecturer" in the Department of Surgery in Al–Nahrain University–College of Medicine. *16/1/2011: Awarded the title of "Assistant professor in neurosurgery" Department of Surgery in Al–Nahrain University–College of Medicine. 13/1/2016: Awarded the title of " professor in neurosurgery" Department of Surgery in Al–Nahrain University–College of Medicine. Clinical and theoretical teaching in neurotruama for the 5th. year medical student. Clinical teaching for the 6th. year student in the general neurosurgery. Clinical training for the Iraqi and Arab board students in Neurosurgery. Supervision of the post graduate thesis and research. عضو اللجنة العلميه العليا واخلاقيات البحوث الطبيه2015-2016 ممثل اعضاء الهيئة التدريسه في مجلس الكليه2016 -2017 رئيس فرع الجراحه تشرين اول 2018 -الى الان CONFRENCES AND TRAINING COURSES ATTENDED: 1. The 36th Iraqi Medical Conference of the Iraqi Medical Association, which was held on 13th – 15th, Feb. 2001 in Baghdad, Iraq. 2. The First Scientific Conference of the Iraqi Society of Nephrologists and Urologists, which was held on 19th – 21st March 2002 in Baghdad, Iraq. 3. 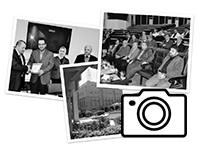 The 6th Medical Conference of College of Medicine / Al-Nahrain University, which was held from 29th – 31st of October 2002 in Baghdad, Iraq. 4. The 7th Medical Conference of College of Medicine / Al-Nahrain University, which was held from 25th – 27th of November 2008 in Baghdad, Iraq. 5. The 1st. Medical Conference of Alkarkh medical office which was hold from 15-16 December 2009 in Baghdad –Iraq. 6. The 2nd. Medical Conference of Alkarkh medical office which was hold from 29-30 November 2010 in Baghdad –Iraq. 7. Functional neurosurgery, training course about Leksell stereotactic frame in Sweden from 29th May to 12th of June 2009. 8. 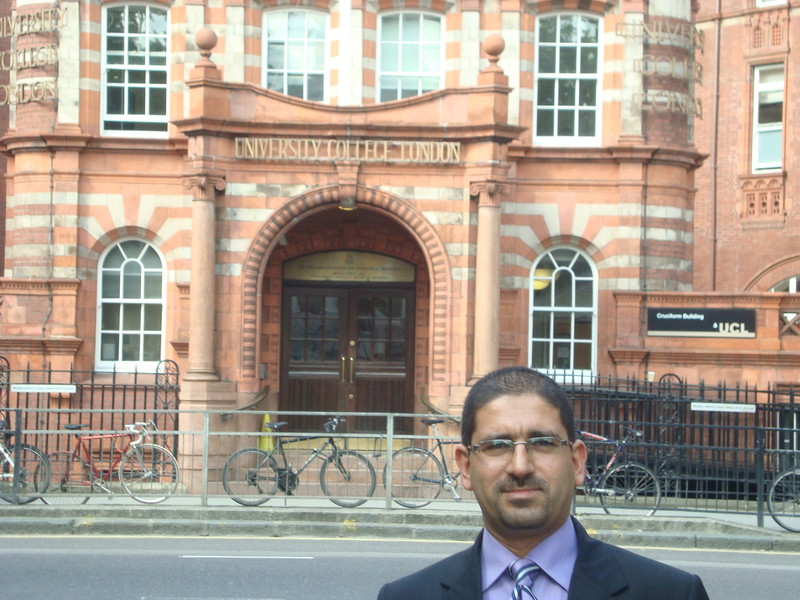 Clinical and academic course in neurosurgery and teaching modules at Imperial college-Charing cross hospital, London from 13- June to 8th of July 2011. 9. ATLS Course at Hillingdon hospital –London at 29-Jun to 30-July-2011. 10. The 8th Medical conference of college of medicine / Alnahrain University, which was held from 5-6/May/2013 in Baghdad, Iraq. 11. Clinical and surgical course in neurosurgery at ACIBEM- hospital, Istanbul, from 5-24 September 2013. 12. Clinical and surgical course in spine surgery at Florence Nightingale - hospital, Istanbul, from 8-20 December 2013. 13. The 6th Medical Conference of the Iraqi Board of medical specialty, which was held on 30th – 31the, March. 2014 in Baghdad, Iraq. 14. Neurosurgical workshop held by B Braun Aesculap's at Istanbul, 18-19 November 2014. 15.	surgical course in spine surgery at Italy in December 2014. 16. The 7th Medical Conference of the Iraqi Board of medical specialty, which was held on 2015 in Baghdad, Iraq. 17. Spine Instructional Cadaveric Course, held at Sharjah surgical institute- university of Sharjah, united Arab Emirates 7-8 April,2015 18. Annual meeting of European associations of neurosurgeries (EANS). Held in Madrid ,Spain 18-21/10/2015. 19. The 9th Medical conference of college of medicine / Alnahrain University, which was held at December/2015in Baghdad, Iraq 20. Interdisplanery meeting of Human, Health, and sciences, held at university of Qom, Qom, Islamic Republic of Iran, at 10-12 of May 2016. 21. Pain and CNS Academy meeting , held in Dubai, 17 , February 2017. 22. The 6th Symposium on stroke and cognitive impairment and neuropathy management , Dubai 5th-6th April 2017. 23. The 10th Medical conference of college of medicine / Alnahrain University, which was held at April 10-11/2017in Baghdad, Iraq. 24. Arab spine course diploma , module 1, 3rd-5th ,May , 2017,Dubai,UEA. 25. The 18th Arab spine conference , 6th -8th ,May 2017,Dubai ,UEA. 26. Workshop : ACDF/Corpectomy . MIS TILF & Fixation . Facet , Sacroiliac Injections & Discography, held by International Musculoskeletal Society (I.M.S.) , July 18th -21th-2017, Phoencia Hotel ,Beirut ,Lebanon. 27. The 2017 annual meeting of the International Musculoskeletal Society (I.M.S), July 19th 21th -2017,Phoencia Hotel ,Beirut –Lebanon. 28. "Pain management &the value of Vitamin D", "Approach to Vertigo " , " Interesting cases in epilepsy " , and " cases in neuropathy ", clinical meeting held by united Pharmaceuticals', in 31th. Of July 2017 , Azerbaijan. 29. Arab spine course diploma , module 4, 4rd-6th November , 2017,Dubai,UEA. 30. The 6th. Medical Conference of Alkarkh medical office which was hold from 11-12 December 2017 in Baghdad –Iraq. 31. 31. Arab spine course diploma , module 2, 18-20 April , 2018,Dubai,UEA. 32. The 19th Arab spine conference , 21 -23 ,April 2018,Dubai ,UEA. 33-The "5th. Annual conference on Stroke and Neurological Disorders", November 12-13, 2018, Istanbul ,Turkey.